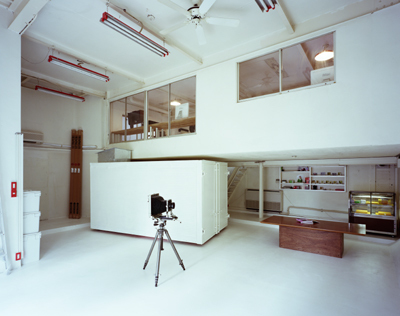 This is a studio for four young photographers Naoki Honjo, Kazuki Watanave, Tomoaki Makino and Osamu Kurihara. 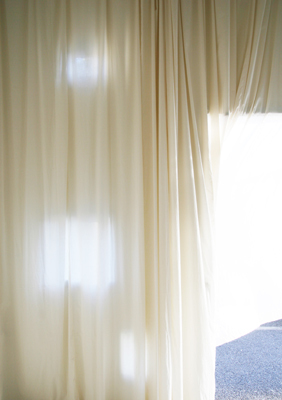 Their request was to install a darkroom and windows in a room formerly used as storage. But they wanted to maintain the warehouse-like atmosphere of the space at the same time. Instead of building a new room, we installed a used container of two-ton truck, which is familiar to us in ordinary townscape. 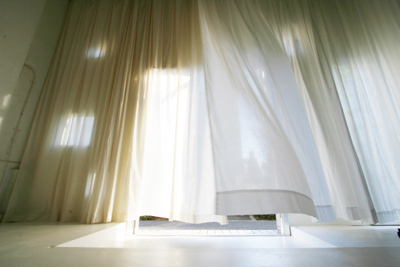 We remodeled the container as a darkroom, and put windows of various sizes on a south wall, and put three types of curtains made of undyed cotton, organdy and tulle, to provide different light effects. 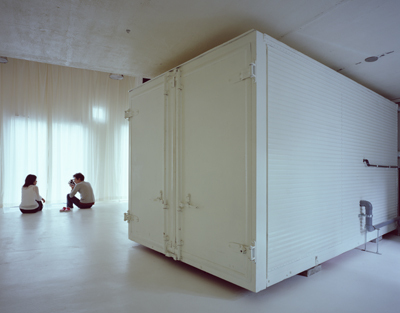 The container warmly welcomes residents and guests, as if he has been here for a long time. It is as if some scene of a familiar town in their photographs is represented here. By remodeling this studio little by little, I am expecting that the studio will gradually become a familiar scene for the photographers.